Civil forfeiture laws pose some of the greatest threats to property rights in the nation today, too often making it easy and lucrative for law enforcement to take and keep property—regardless of the owner’s guilt or innocence. 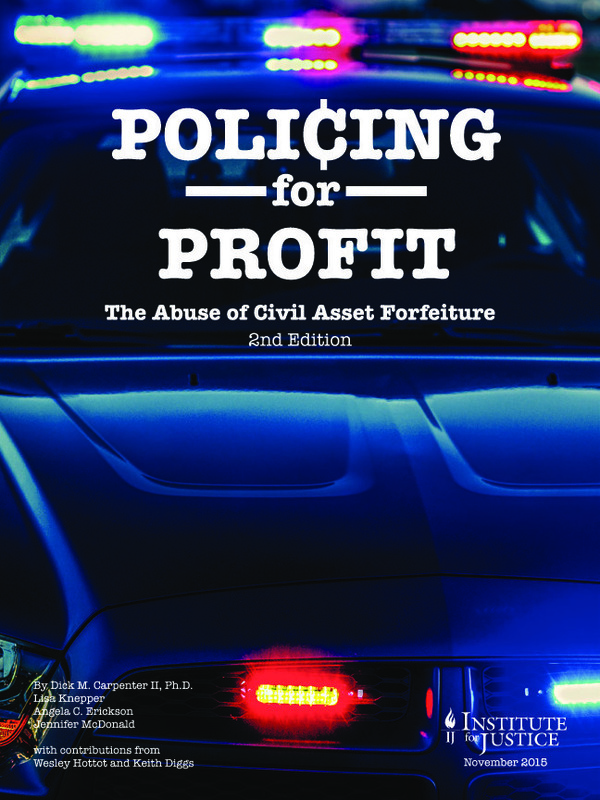 This updated and expanded second edition of Policing for Profit: The Abuse of Civil Asset Forfeiture makes the case for reform, grading the civil forfeiture laws of each state and the federal government, documenting remarkable growth in forfeiture activity across the country, and highlighting a worrisome lack of transparency surrounding forfeiture activity and expenditures from forfeiture funds. State Law Evasion Grade: "+pfpdata[code].behavior_grade+"